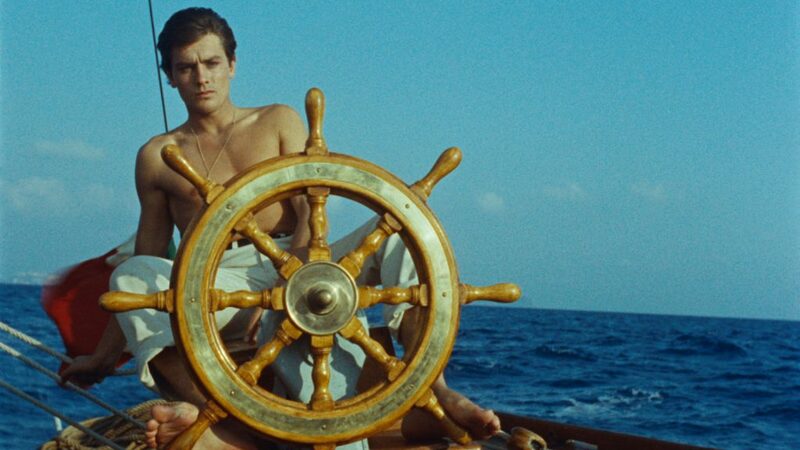 This ripe, colorful adaptation of Patricia Highsmith’s vicious novel The Talented Mr. Ripley, directed by the versatile René Clément, stars Alain Delon as Tom Ripley, a duplicitous American charmer in Rome on a mission to bring his privileged, devil-may-care acquaintance Philippe Greenleaf (Maurice Ronet) back to the United States. What initially seems a carefree tale of friendship soon morphs into a thrilling saga of seduction, identity theft, and murder. Featuring gorgeous location photography of coastal Italy, and an equally gorgeous Alain Delon at his swoon-worthy best.